I just lost my football team here. Comercial de Piauí is not playing in 2014 because they are bankrupt and owe lots of money to the Brazilian Football Federation, and also because none of the other local teams are supporting them. And their president doesn't show up to meetings, even to save his own hide. It is a sad end (or perhaps temporary stop) to a team founded in 1945. You can read about it here. Comercial is (was?) a fourth division team. Yes, there are five divisions in Brazilian football, and every year some teams move up and some teams move down. That is the case of Palmeiras, BH's favorite team which spent a year in the second division before moving back up to the first division, or Serie A. If this all makes your eyes cross, you are not alone. So, how did I get to be a Comercial fan? 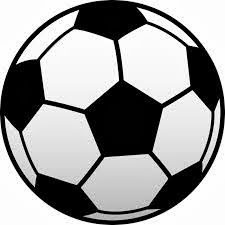 As you all know, I am not much of a football fan. I prefer Palmeiras winning because BH gets crabby if they are losing. I still get annoyed by things like theatrical diving to the ground, lack of instant replay and no time-outs for pee breaks. But the main thing that makes me nuts is the fighting. I don't even mean the beating of the opponents (literally, with punches and kicks). I mean the non-stop..."oooh, Corinthians? That team is terrible." and on and on the fans go forever and ever. Four of the five teams here in São Paulo are non-stop ****-slinging at each other. The games when they play each other are called "classicos" or classics, which translates roughly as 'if you value your life, stay at home." The fifth team is essentially the Chicago Cubs of football and no one can get bothered by them. I decided a couple of years ago that I was not going to have a team. I am friendly to Palmeiras (oh, alright, I have a fan card but only because BH got it for me) but they are not really at the level of "minha vida é voce" (my life is you) like is written on the card. Please, people! Get a grip! Ugh, and don't get me started on Corinthians with their bumper stickers reading "I am loyal until I'm dead." But I was hassled all the time to pick a team. Then a friend said, well, why don't you cheer for a small team? And I started looking around. 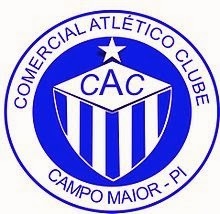 BH is from Ribeirão Preto and I saw there was a team there called "Comercial" so I said to this friend that I was going to cheer for Comercial. His response was: which one? I believe there are actually three Comercial teams. Once he mentioned that there was Comercial de Piaui, I took a look. They play at a field called Deusdeth which can fit 4,000 people (one-tenth of the population of Campo Maior, the team's city). 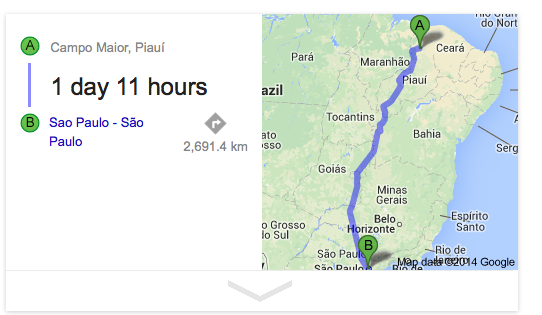 I wouldn't ever have to go to a game (it's 2700 km/1600 miles away) and the team shirts are not available online. Perfect. And I became a fan of Comercial de Piaui. 1. The team may NOT be one of the big teams of Brazil. No Flamengo, Flu (hahahaha! ), Gremio, Inter, Corinthians, Athletico of any kind, etc. 3. I prefer teams where the fans are not thugs. If they have killed any referees or other players, they are not my team. 4. I prefer a team that is third or fourth or fifth division. So as not to run afoul of Palmeiras, as I live in a porco household. Definitely NOT a first division team. Second is acceptable. Preferably bottom of second. 5. I prefer a team that is not within driving distance. I don't actually want to have to go to a game. Ditto on not wanting any that might be televised. 6. No teams with Adriano or Ronaldinho on it. 7. I prefer cool mascots like lions (Avai) or wolves (Paysandu). No dopey toucans. Even Comercial's goat was pushing it. There, I think I've covered it. If you have any suggestions, I am all ears. I'll probably need to commit myself to a team in about a week so as to acquire the requisite level of knowledge about its players by the end of Carnaval. Let the auditions begin...teams receiving votes so far are Avai and Paysandu. Yeah, look them up. Aloha!